Medieval Books of Hours were manuscript devotional texts. The two most significant words here are “manuscript” and “devotional”; both of them remind us that the contents of these books were largely based around the desires of the people who commissioned them or the sense of the market by those who produced them. Therefore, in considering both the Books of Hours and the prymers that developed from them, we need to gain a sense of what elements were typical, and what sort of devotional material was expected. The Abbe Leroquais established a basic classification of the contents of Books of Hours. Three elements are distinguished: essential, secondary, and accessory texts. The essential texts are those extracted from the Breviary: the Calendar, the Little Office or Hours of the Virgin, the Penitential Psalms, the Litany, the Office of the Dead, and the Suffrages of the Saints. Like the Breviary, the Book of Hours in its turn attracted further texts which extended its devotional scope as well as increasing the variety of its contents. These secondary texts comprise the Sequences, which are the passages from the four Gospels in which the Evangelists Matthew, Mark, Luke and John describe the coming of Christ; the account of the Passion given in the Gospel of St John; two special prayers to the Virgin which enjoyed great popularity, the Obsecro te (‘I implore thee’) and O intemerata (‘O matchless one’); a number of shorter alternative Offices, the Hours of the Cross, of the Holy Spirit and (less often) of the Holy Trinity; the Fifteen Joys of the Virgin; and the Seven Requests to the Saviour. Even this substantial addition was not enough to satisfy the yearning for devotion among the laity. It was increased by Leroquais’ third element, the accessory texts. These comprise more extracts from the Psalter, and miscellaneous prayers. The Fifteen Gradual Psalms (also present in the Breviary in this form) and the Psalter of St Jerome represent a further appropriation of the inexhaustible riches of psalmody. The Gradual Psalms comprise numbers 119-33 [Vulgate numbering], the short and beautiful psalms sometimes considered to be those recited by Jewish pilgrims ‘going up’ (gradus, a step) to Jerusalem. The Psalter of St Jerome is an anthology of 183 verses from the Psalms compiled for the use of the sick by an unknown writer but traditionally associated with St Jerome, the translator of the Bible into Latin and author of three versions of the Psalms. The miscellaneous prayers were of widely diverse character. Many were of venerable antiquity, going back to the prayer books (libelli precum) of Carolingian times. Most were anonymous, but some were attributed to major saints or Fathers of the Church to give them status and perhaps greater efficacy. The arrangement of a ‘typical’ Book of Hours is given below. Only the essential and secondary texts are included. It must always be remembered that no two manuscript Books of Hours are exactly alike. Except for the Calendar at the beginning, the order of the seperate parts was never fixed, and the number of texts included could vary as much as their position in the Book. As a practicing medievalist without access to the text of Leroquais, I immediately grant his specific grouping of elements a conditional status accounting for time and place. Even the most cursory glance through the holdings of the BN (which, to be fair, is all I’ve given it…) notes that there appears to be a predominance of Books of Hours from the Diocese of Rouen. We will thus note but bracket the possibility that Leroquais’ assessment of contents might reflect local use and may differ from English norms—either Sarum or York. All these people, then, high and low, aristocratic and plebeian, were using the same book. That book contained a standardised selection of psalms, antiphons, hymns and prayers arranged for recitation in honour of Mary at each of the eight monastic divisions or hours of the day. To these ‘hours’ of the Virgin were added the Office for the Dead or Placebo et Dirige (Vespers, Matins, and Lauds for the dead), the short Hours of the Cross, which in books for the English market were usually inserted between the Hours of the Virgin, the long Psalm 118 (119) called the Commendation of the soul, the seven Penitential Psalms and the Litany of the Saints, the fifteen Gradual Psalms, and a series of individual ‘suffrages’ or short prayers to saints, especially to the Virgin Mary. These made up the core contents of the Book of Hours, which by the later fifteenth century had expanded to become a compendium of popular devotions. By then most included also a series of devotions (with accompanying illustrations ) to the Trinity, the Wounds, the Passion and the Veronica or Holy Face of Jesus, prayers to the Virgin such as the popular prayers beginning Obsecro Te and O Intemerata, hymns to and about Mary, such as the well-known poem on the Passion, the Stabat Mater, or the Marian hymn against the plague Stella Coeli extirpavit. Many also included eucharistic devotions like the Anima Christi (‘Soul of Christ, sanctify me, Body of Christ, save me…’), designed to be recited at Mass, and almost all contained the shortened version of the Psalter known as St Jerome’s Psalter, which included almost 200 verses from the psalms including the whole of Psalm 50 (51), the Miserere, and which normally carried a prefatory legend which guaranteed the user protection against the devil and untimely death (Duffy, Hours, 28). Note that Duffy includes the Commendation among the standard contents, agreeing (against Leroquais’ essentials) with what I’ve seen in the English sources. Six primers of the thirteenth century which are known to exist show that taking one book with another the Primer uniformly contained (a) A Kalendar, (b) The Hours of the Virgin from Purification to Advent, (c) The seven penitential psalms, (d) The Litany of the Saints, (e) The Office for the dead, (f) The Psalms of commendation, (g) the fifteen or gradual Psalms, and (h) The prayers of St. Bridget commonly called the 15 Oes; while one Primer or another has, “Hore de S. Trinitate,” “Hore de passione,” or, “Heures de Nun Jesu,” “Hore de S. Johanne Baptista,” “Hore de S. Katherina,” “Hore de S. Spiritu,” Rubrics in French, and pictures with prayers on the sacred mysteries (Hoskins, Horae, xi). The contents of thirteen Primers in English of the end of the fourteenth and the beginning of the fifteenth centuries which are known to exist are the Hours of the Virgin from Purification to Advent with the Hours of the Cross, a Kalendar, the Seven penitential psalms, the Fifteen or Gradual psalms, the Litany, the Office of the dead, the Psalms of commendation, devotions to the Virgin, the psalm De profundis, Psalms of the passion, A Christian man’s confession, Misereatur, Pater Noster, Ave Maria, Credo, the Ten commandments, Six manners of conscience, Seven deadly sins, Five witts outward and inward, Seven works of mercy bodily and ghostly, Seven gifts of the Holy Spirit, Seven words, Sixteen properties of charity; together with instructions on many of the above subjects, and the words of Paul (Hoskins, Horae, xiv). My sense is that a fuller investigation will prove and make explicit what seems nascent here: the Latin books—and Latin texts within mixed-language books—consist primarily of the standardized liturgical devotional material; the shift into vernaculars (notably French and English for the scope of my curiosity) introduces not only additional devotional material but a greater influx of catechetical contents. This entry was posted in Liturgy, Medieval Stuff on September 26, 2012 by Derek A. Olsen. So are you saying that these books were commissioned, perhaps, by people of means, for private use – and then put on the market for others to purchase? Or was there a real market already, and the commission was from the start an attempt to make money? And who was commissioned? A writer, who was also trying to earn a living – or a scholar of some sort? Sorry, I just don’t know much about this topic. Also, why do you think the shift to the vernacular would have made the inclusion of catechetical material more likely? This is actually worth a full post on its own but you had a variety of possibilities. Some wealthy people commissioned their own particular books from scribal workshops. Others used a “standard” model that were churned out as part of the normal book trade (particularly when printing came along). There was also a level between these that would start with a stock product and add embellishments. In the time just before the Reformation, books of hours/primers had achieved a pretty impressive circulation among the population (Duffy focuses on this and gives some numbers that I’ll track down later.) Suffice it to say that these books then were sort of like cars now—they’re both useful items and opportunities for conspicuous consumption. Most people had one, the majority of folks had a decent functional version, but the wealthy had fancy, hand-detailed ones to let everybody know that they could afford it. We see more catechetical material in the vernacular for at least two reasons. First, those using a strictly Latin-only text (particularly as bilingual editions became common) didn’t need it—if they knew that much Latin, they knew the structures of the faith already. Second, synods and councils required teaching on certain topics in the vernacular; in some sense, the primers were a great vehicle for it especially as such material already existed–it could just be incorporated in. Interesting. Sounds from your last paragraph that any Primer published would have to have had the (literal or figurative) imprimatur of the diocese and/or the Vatican or state (in the case of the CofE). I wonder if that – the imprimatur, that is – would have been an informal or a formal fact, do you happen to know? Pretty interesting, though! I had never heard of Primers before reading about them on this blog, and to me it’s really fascinating that the BCP may have been an extension of them, whether by actual design or just because of what was in the air at the time…. You write: “Most people had one…” O, Derek—”most people” couldn’t even read! And even if they could, the price for such a book would have been prohibitive. (According to research I’ve done, in the 14th century, a bible would have cost the equivalent of about $7,000.) My guess would be that relatively few people actually owned a Book of Hours. But I’ve never studied that specifically so, I can’t at all guarantee that I’m right. Actually, you’d be surprised–I was… During the manuscript period, you’re certainly right; reading was uncommon and books were quite expensive. With the move into the era of paper and printing, however, things change fairly significantly. Wills from the middle-class often mention the disbursement of several primers–they were significant family items much like the family Bibles of a hundred years ago. There was also a burgeoning market for second-hand primers; Duffy notes that some quite handsome books with gentry connections made it into the hands of the middle-classes. For example: “…a tiny Book of Hours made originally for Richard Plantagenet, Duke of York (d. 1460), and now at Ushaw College, Durham, which records that an early sixteenth-century owner, Edward Ashton of Chadderton, had picked it up secondhand for three shillings, well within the buying power of even a modest yeoman or city merchant or shop-keeper.” (Duffy, Hours, 25). There’s also a reference that I can’t locate at the moment recording the theft of a primer by a homeless woman from a servant-girl. Doubtless, the homeless woman would have been looking to resell it rather than pray from it, but the servant-girl obvious both kept it and had a use for it. When you look at the numbers of editions produced and printed there were really quite a lot of these on the market even though few have survived given the various orders for their destruction. The other thing to remember here is that a late Sarum primer was devotionally useful even to someone who was functionally illiterate (as the servant girl most likely was…) I remembered too late that the title of this post is actually inaccurate and misleading: it ought to be “Books of Hours: Texts” as the illustrations and images in the books were quite important both in combination with but also apart from the texts. For instance, the Image of Pity was a standard feature of late Sarum primers. 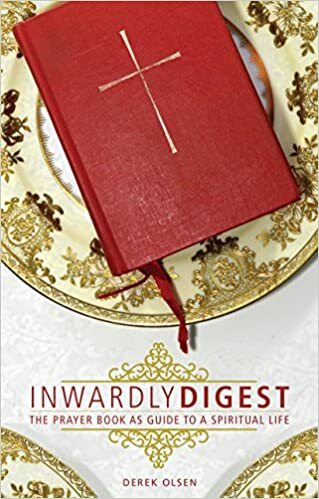 You don’t have to read to receive the (rather massive and quite fanciful) indulgence purportedly attached to it, you just had to recite 5 paters, 5 aves, and the creed while looking at it. And there we have the use and value-add for the illiterate; as long as you know your ave, pater, and creed, the book can still be devotionally valuable–as well as being a sign of your pretensions to literacy whether you could actually read or not! Not at all—the whole notion of the imprimatur is functionally meaningless in the manuscript period and even in the time of printing there are all sorts of things from a variety of provenances with very few real controls. Butterworth’s account makes it quite clear that the printers did whatever they thought they could get away with as long as they could make a buck. Hmmm. Now I’m thinking of a new Illustrated 1979 Book of Common Prayer…. This is a very informative and useful introduction to BoH’s .